Rocket Matter Knowledge Base Matter TemplatesHow to apply a matter template to an existing matter. 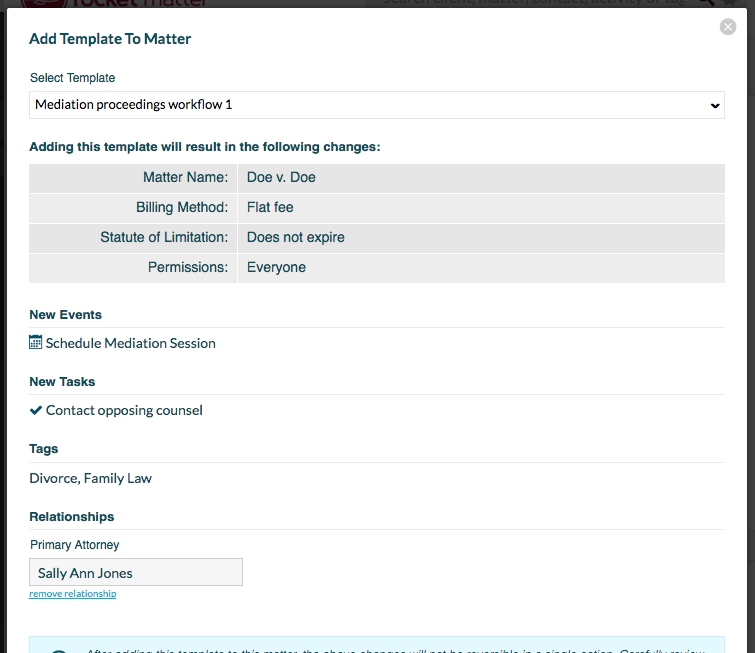 Automate the process of creating a Matter with commonly associated events and tasks with Matter Templates. Matter Templates can be applied to brand-new matters, or they can be applied to existing matters. 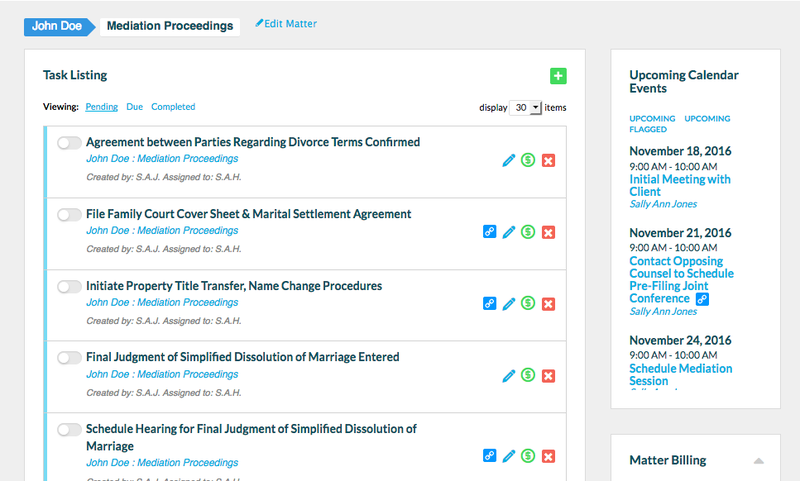 When you apply a Matter Template to an existing matter, you have the ability to layer workflows of events and tasks to a matter-in-progress. 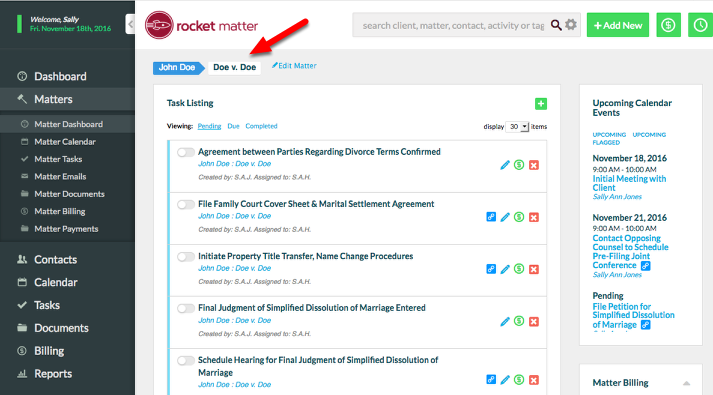 Before a Matter Template is applied to an existing matter, you will be prompted by Rocket Matter to authorize whether or not you want to overwrite specific matter descriptions, or override existing matter settings. Once you approve the overwriting of descriptions, or the overriding of settings, you will not be able to revert to the previous data. 1. Navigate to the existing matter. 2. Click "+ Add New". 3. Select "Template to matter". 4. Click on the drop-down menu to display available templates. 6. 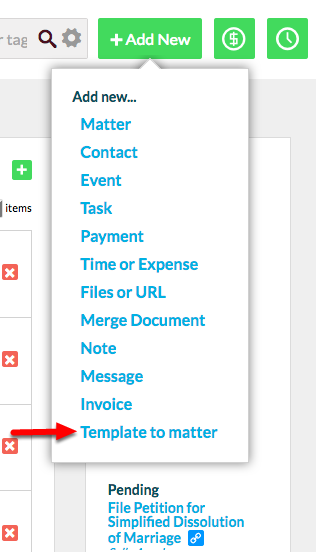 Rocket Matter will now display the intended changes and updates to your existing template. 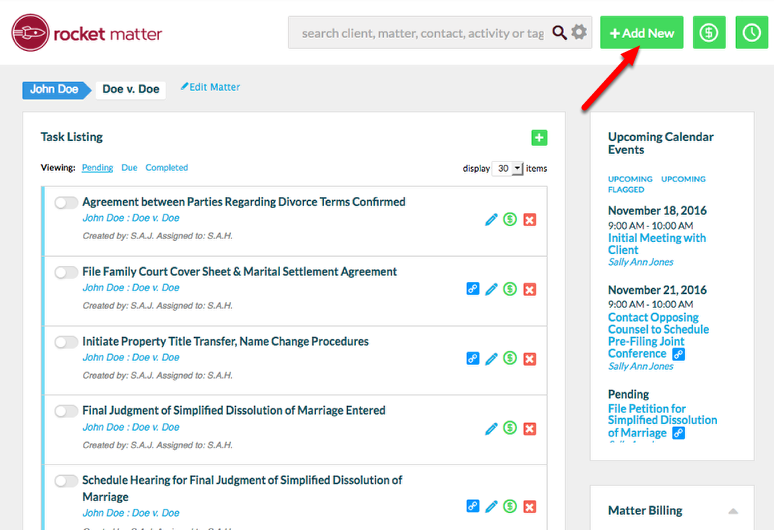 Carefully review the list of changes that will be made when the Matter Template is applied. Note: After adding a template to matter, the changes that are made will not simply be reversible. Carefully review the summary before confirming the application of the template. 7. Scroll down and click "Save". You can select "Save and add another" to quickly apply another template without leaving the current screen. 8. Review the updated matter. Zoom: 8. &nbsp;Review the updated matter. Prev: How to apply a matter template to a brand-new matter. Next: How to create a matter template for a brand-new matter.